A genny (generator) operator is the person who is in charge of maintaining the power supply of a film set whenever the location power availability is not sufficient for the requirements of the shooting and there is hence the need to bring along a genny to guarantee that every department can have the electricity supply necessary. He usually is an electrician and/or lighting technician, but depending on how big is the power of the genny a specialized operator could be required, generally speaking for generators with a power of more than 20 KW. His main responsibility are to drive the generator (which is usually mounted on a dedicated truck) to the location being there at the time set by the 1st AD, having previously made sure that it is fully operational and meets the specifications that the production requires. 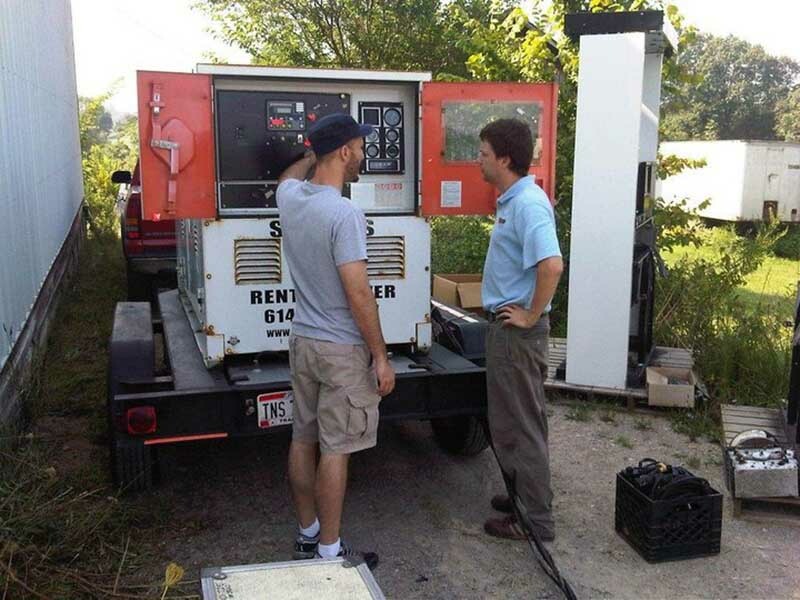 At Camaleón Rental we can provide generator operators with wide experience and knowledge of the most used type of generators on the market, who also will take care of the communication with the rental houses and will advise you on the most suited gear for the characteristics of your production. At Camaleón Rental, we’ve got the power that you need and the person to handle it!